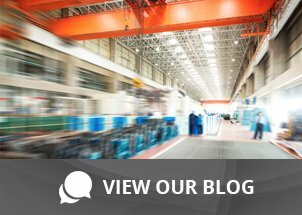 Three ways to gain greater visibility in the warehouse | Taylor Data Systems, Inc.
With organizations always looking for an edge over the competition, the pressure is constantly on operations to become more efficient. Efficiency translates into reduced costs, the ability to swiftly move product, providing fast, accurate fulfillment and always being one step ahead of the customer. As we approach the 4th quarter, now is a great time to be taking stock of your processes, the flow of your inventory, and efficiency of your operations to prepare for the New Year. According to a study conducted by Zebra Technologies, by 2020, 76% of warehouses are planning to have more locations and be shipping more items. More focus is on shorter delivery times, more accurate fulfillment and reduced instances of stock-outs. For many companies, the use of paper-based processes and manual data entry prevents opportunities for growth and profitability. Investing in an industrial wireless network and automation of processes with a bar code data collection solution, productivity goals and error reductions are easier to achieve. Heightened customer expectations are driving technology investments for many companies. Because there are so many choices in technology on the market today, the first step is to partner with a solution provider that understands your business and has proven success. With an expert working closely with your team, you will more easily approach challenges and attain goals through the power of data collection technology. The technology provides visibility – which is something you can’t easily achieve with manual processes. The convergence of technologies work to provide real-time information, when and where you need it, and allow you to anticipate and plan more easily. 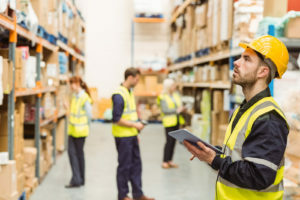 It starts with an industrial wireless network, which gives workers consistent access to information without hitting dead space that typically exists in the warehouse. Easy access leads to greater productivity; this means the ability to track and trace efficiently through the accurate collection of data, a better understanding of inventory position and location and huge improvements throughout the operation. From raw material to final product, track and trace is critical. Not only for your internal operation but for customer compliance and safety as well. Ensuring near 100% accuracy can only be accomplished when the right technology is in place to give your employees access to real-time information. When your workers can validate each step in their activity, and cross-check order fulfillment from order specifications, you can count on quality and efficiency; all leading to reduced errors and more productive workers. So how do you get access to real-time information? This is where the technology comes into play. It all starts with the use of a bar code system where all items are coded for easy identification. Since you can store a lot of information in one tiny bar code, your workers can do more than just read the description. You can include inventory location, available quantity, back-ordered quantity, allocated quantities, customer order information, and much more. And of course the bar codes are useless without the devices! This includes mobile computers and hand-held scanners, bar code label printers, and even RFID if that’s a technology that would work best in your environment. These tools empower your employees by doing the ‘heavy lifting’ of providing the information they need to find inventory locations to pick the product, pack the order correctly and ship to the right customer. Strong network capabilities, a bar coding system and the right technologies will keep you on the path to greater visibility, flawless fulfillment and an outstanding experience for your customers. If you’re looking for a partner to help you improve visibility in your operations, contact us for free consultation and see more clearly throughout your warehouse.